We just got our pics taken here a few weeks ago! my fave pic spot at epcot for the kids! My kids love having their pictures taken here!! 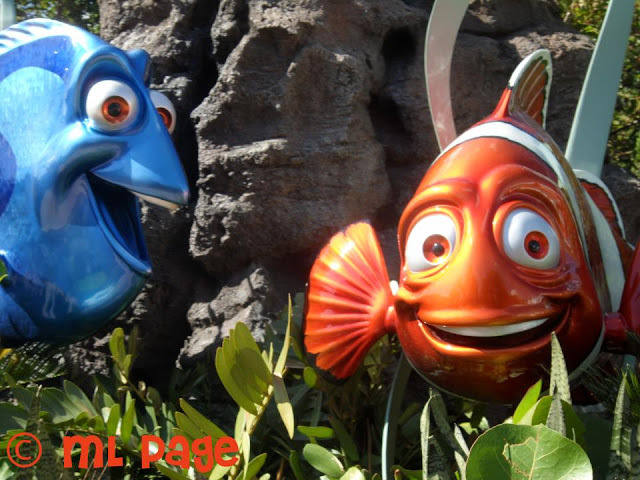 My kids love the Nemo ride! Love this spot! Dory is one of my favorites! We missed Epcot last time we went....looking forward to seeing all these beautiful things sometime SOON! Melissa, Looking at all your pictures makes me so excite to go to Disney!! We need our coffee Disney date!!!! I wish I was traveling to epcot this year to see these. We love Nemo.